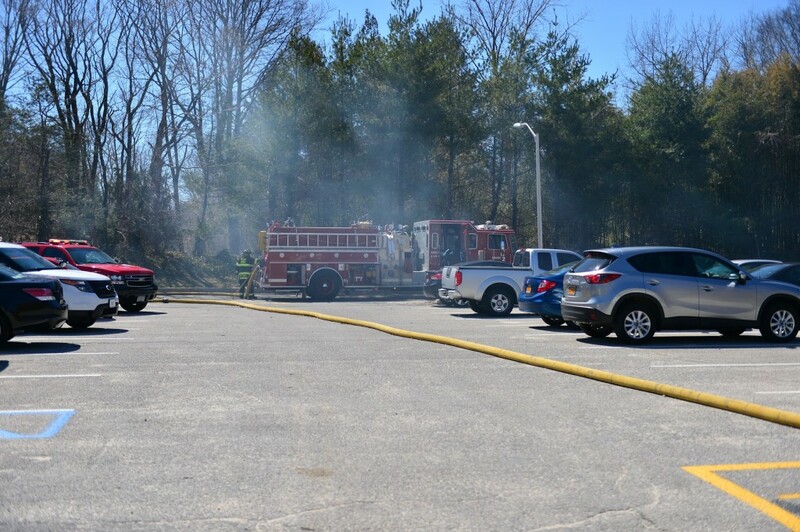 Due to wind direction and speed, a small brush fire ignited in a patch of bamboo on private property behind Tabler Quad and spread onto Stony Brook University property around 11:30 a.m. today, according to Assistant Chief of Police Lawrence Zacarese. 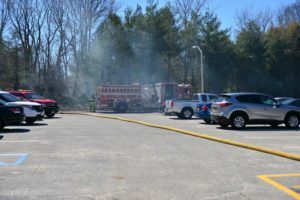 Stony Brook University Police, Fire Marshals and Stony Brook Fire Department responded to the call with four police cruisers, three fire marshal vehicles and two fire engines. According to Zacarese, the fire was contained to a 20 by 30 foot area and firefighters were able to quickly get it under control. There was no property damage or injuries.